MedTek21 is a comprehensive medication risk management platform that easily brings the benefits of continuous genomics-based medication monitoring to every patient. MedTek21 Continuously analyzes all patient records for new or existing medications, helping to prevent issues whenever they arise. Always up-to-date, MedTek21 enables real-time personalized medication references and reporting, assisting clinicians with instant access to the latest information, insight, and recommendations. MedTek21 is built to seamlessly handle multiple facilities and patient cohorts. No matter your patient population, MedTek21 works to easily track quality measures, cost reduction programs, and risk management assessments. Issues arising from medication conflicts are estimated to cause over 100,000 deaths/year, and represent the fourth leading cause of preventable death in the US. In addition to the most severe adverse events, millions of patients suffer from poor or ineffective treatment due to medication interaction or metabolism issues. MedTek21 has been built from the ground up to suit a range of patient settings and clinical workflows. MedTek21 works seamlessly across desktop, mobile, and tablets. Our team has spent decades developing easy to use healthcare software used in thousands of the most demanding clinical environments. We've put all that experience into designing MedTek21, and further developed it alongside clinical professionals to maximize workflow efficiency. Your staff can also keep confidence in MedTek21's enterprise-grade data and security architecture. Want to utilize MedTek21 on the latest generation of devices? We offer an end-to-end device management program that combines device provisioning, security, mobile data and help desk services - without any up-front costs. Contact us today to learn more about adding this program to MedTek21. 1How easy is it to get MedTek up and running? Very easy! On average MedTek21 can help a mid-sized long term care facility begin to analyze patients using real data in less than a few days. Patient information can be fed into MedTek21 through a range of methods, and seamlessly integrates with other clinical and data workflows. 2Is patient testing required for MedTek21 to monitor their medications ? No. MedTek21 is designed to continuously monitor all patients by looking at their medication and treatment history, and help clinicians identify those who are most likely to benefit from additional testing. 3How do I know when a patient status changes? MedTek21 includes a real-time alerting engine, as well as an easy summary alerts view. Facilities and clinicians have the option to set and adjust the alert workflows to best suit their care delivery processes, and avoid "alert fatigue". 4What kind of hardware is required to run MedTek21? MedTek21 is a cloud-based solution, and requires no installed hardware to run. Customers utilize desktops, mobile devices, and connected tablets to interact with MedTek21 - it's all a matter of facility and workflow preferences. 5What existing systems does MedTek support? 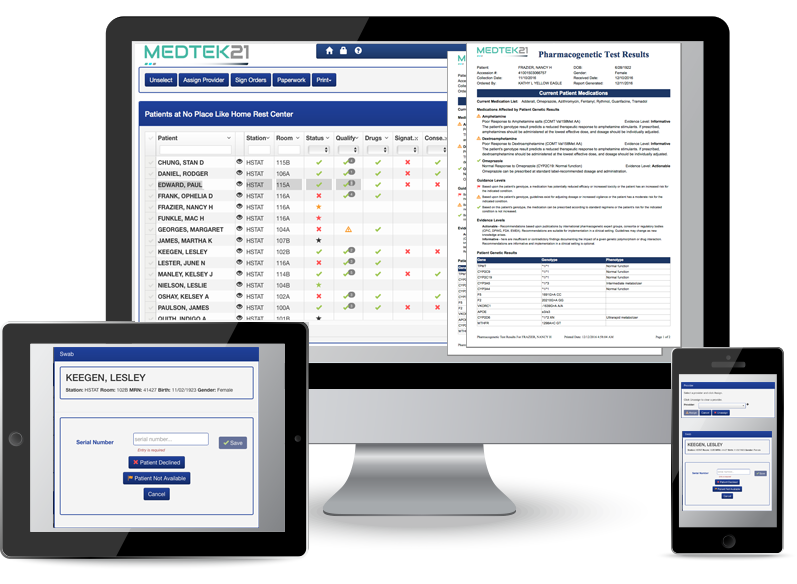 MedTek21 seamlessly integrates with many of the leading EHR, EMR, and pharmacy management systems. MedTek21 also has native HL/7 and FHIR support. 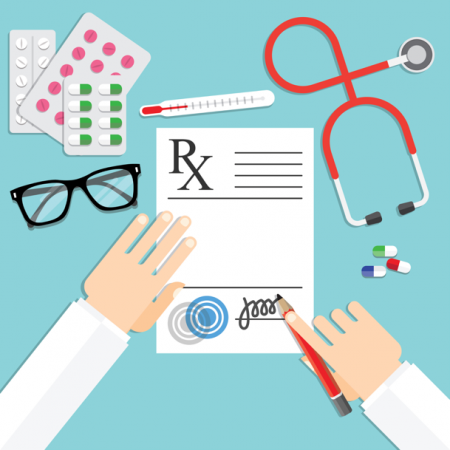 6How is patient information kept up to date? MedTek21's synchronization engine can seamlessly pull updates from patient records as frequently as requested by the customer. MedTek21's dynamic reporting engine continuously accesses the latest personalized medication information alongside the patient info to ensure clinicians always have the most up-to-date insight when working with patients.